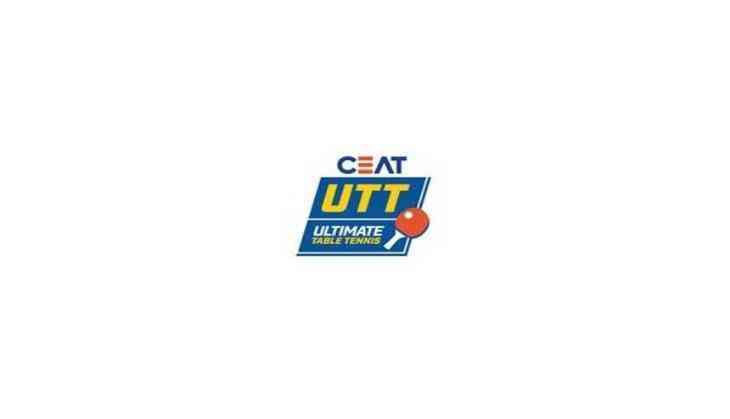 Andrej Gacina won two matches to put Shaze Challengers ahead 7-5 against DHFL Maharashtra United after four matches in the ongoing tie on day 12 of the Ultimate Table Tennis (UTT) at the Thyagaraj Stadium in New Delhi last evening. Croatian world No 46 Gacina provided Shaze Challengers a 3-0 lead with a dominant 11-6, 11-9, 11-5 win over Surat-born world No. 79 Harmeet Desai in the men's singles, the opening match. However, Fu Yu, ranked 37 in the world, staged a come-from-behind win over world No. 135 Mouma Das of Shaze Challengers 2-1 (5-11, 11-7, 11-7) in the women's singles to secure DHFL Maharashtra United's first points in the tie (2-4). The third match was mixed doubles and Harmeet Desai/ Liu Jia of DHFL Maharashtra United won the first two games 11-5 and 11-2 before Soumyajit Ghosh/ Petrissa Solja pulled one back 11-7 to keep Shaze Challengers ahead at 5-4. Gacina then put it across Portuguese world No. 48 Joao Monteiro, a southpaw, 2-1 (11-6, 11-9, 7-11) in the men's singles to give Shaze Challengers an edge. Five more matches remain in the ongoing tie. On Tuesday, Oilmax Stag Yoddhas will lock horns with Dabang Smashers T.T.C. in their respective fifth and final round league fixture.